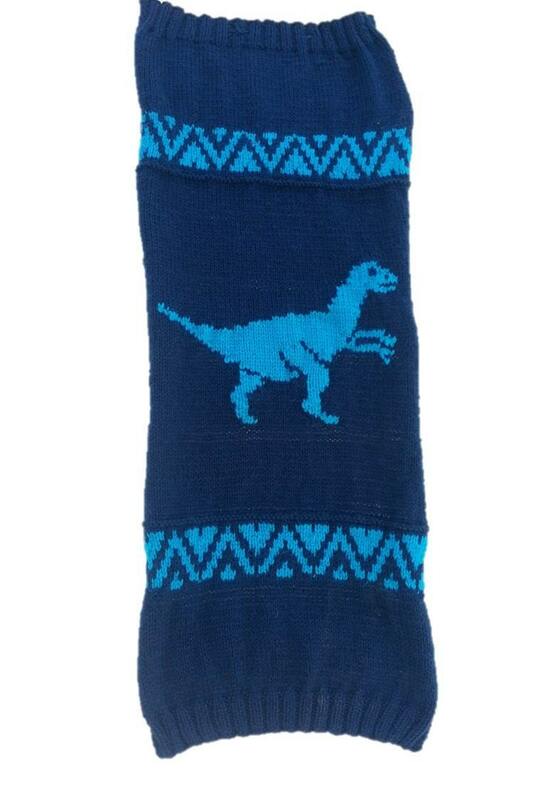 Perfect for those “dinosaur mad” youngsters. 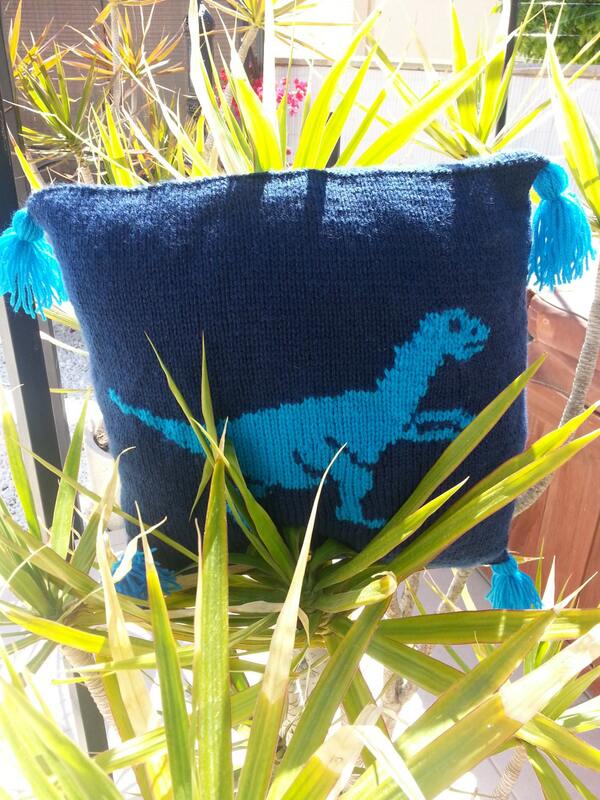 A quick and easy design to knit in Aran/Worsted Yarn. 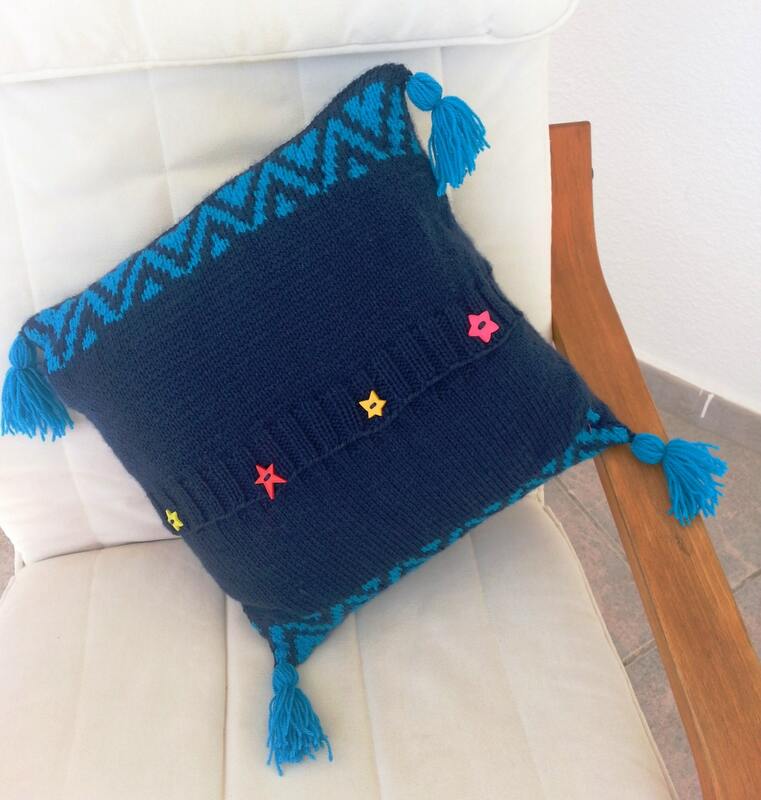 The cushion cover is knitted in one piece and the back has a four button opening. 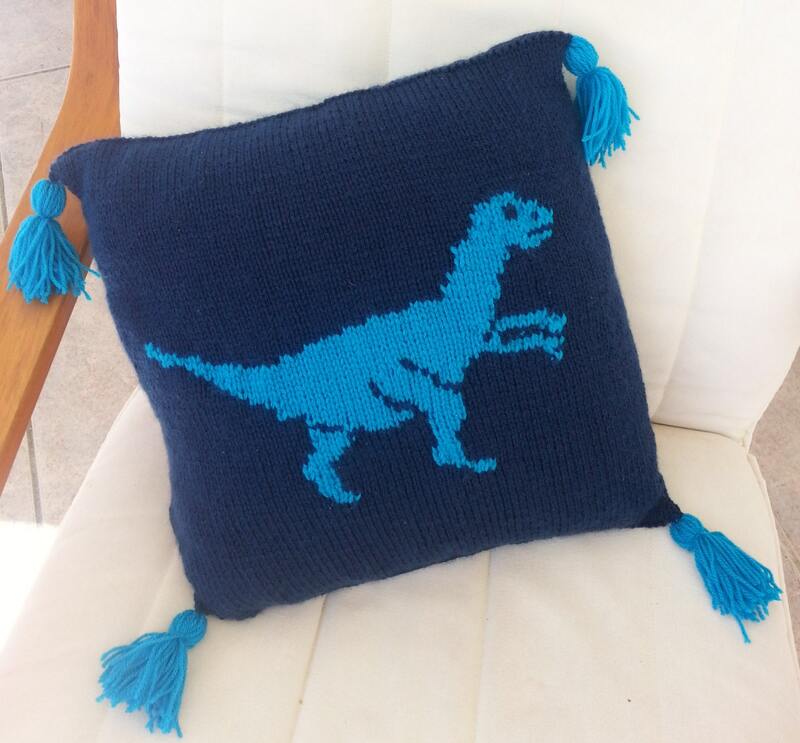 Good project for a first attempt at Intarsia (picture) knitting. It also incorporates 2 panels of fair isle (stranded) knitting on the back. 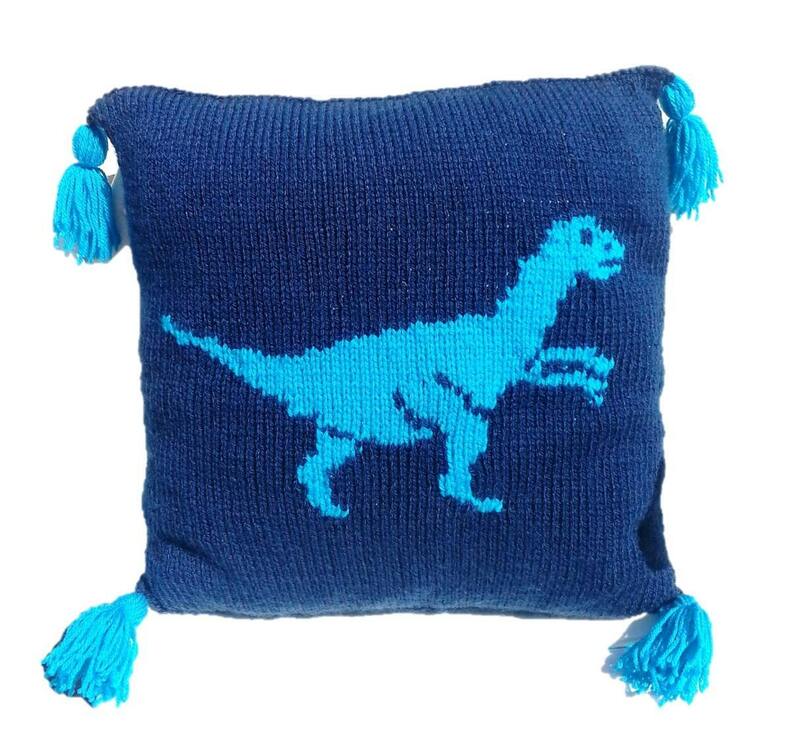 Just add some snazzy buttons and you have a “cool” cushion.